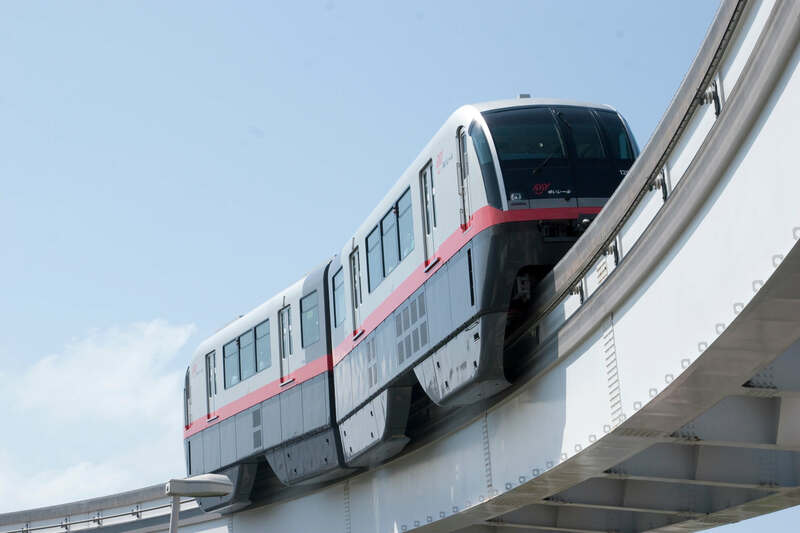 Public transportations such as monorail, buses, and taxis are the main transportation in the main island of Okinawa. If you wish to move around more freely, a rental car is a convenient option. On remote islands, using rental cars, rental bicycles or rental motorcycles is recommended because there are not many public transportations. Choose transportation that fits your purpose of your trip and make your plan better. Yui Rail connects 15 stations across Naha City in 27 minutes from Naha Airport Station, the entryway to Okinawa to Shuri Station, the last stop. Naha Airport Station is connected directly to the 2nd floor of the Domestic Terminal, and it provides convenient access to Kokusai Street, Naha Shintoshin, Shurijo Castle Park, and other popular tourist sites around Naha City. If you use the monorail multiple times throughout the day, using a 1-day ticket (purchasable at each station) can save you money. Currently there is construction to extend the monorail from Shuri Station toward Urasoe City, and the service starts after summer 2019. Rental Cars: A Popular Option for Families and Groups! There are many rental car companies in Okinawa. Check comparison sites before reservation, or rent a car along with flight and hotel for a smooth process after your arrival. You can rent a car at tourist information center at Naha Airport after your arrival, but sometimes rental cars may not be available on the day depending on season. It is recommended that you make your reservation prior to your trip. There are pick-up service from the airport to rental car office. Be sure to confirm when making your reservation. ●During morning and evening hours, some lanes on national roads in Naha, Urasoe and Ginowan City are reserved for buses (bus lanes). During the period, driving in the bus lanes is not permitted. ●If you drive on expressway, it is recommended that you choose a car with ETC, which allows for smooth payments at toll booths. ETC also provides discounts at night and certain other times during the day. ETC card issued by a credit card company is required but some rental car companies offer a lending service, so check when making your reservation. ●In Japan, the law stipulates that a driver must use a child seat when driving with a child less than six years of age. If this applies to you, install a child seat appropriate for your child’s age and physique. The various rental car companies offer lending services, but the fees and arrangement differ, so be sure to confirm when making your reservation. ●When driving in Japan, one of the following types of licenses is required. Be sure to confirm beforehand and complete the necessary procedures. When driving in Japan, your own country’s license may be required as well, so be sure to bring it with you. 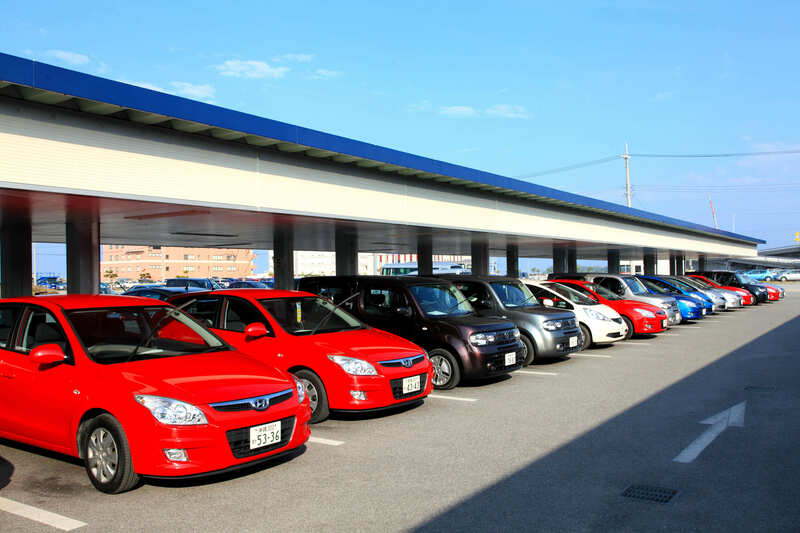 Many of the coin parking lots in Okinawa feature locking plates installed in the parking spaces. After you park, the locking plate automatically rises and locks the car in place. When leaving the lot and paying the fee, you use the fare machine installed in the parking lot. Entering your parking number into the fare machine automatically calculates your fee, and once the displayed amount is paid, the locking plate keeping the car in place descends. Return to your car, confirm that the locking plate has descended, and immediately leave the lot. 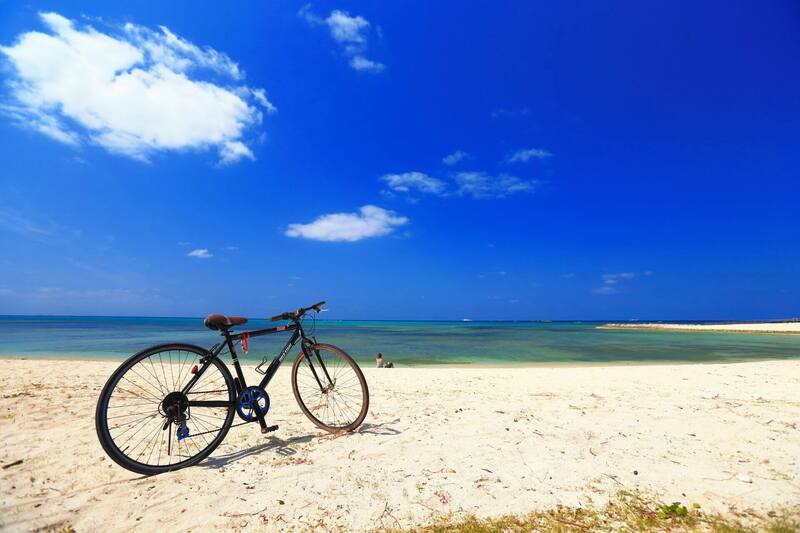 Rental Bicycles and Motorcycles: Convenient for Short-distance Sightseeing! Rental bicycles and motorcycles can avoid traffic jams, easily access various locations and are efficient way for traveling short distances. You can get information about rental stores at the airport tourist information center, your accommodations, and tourism bureaus in various regions. Some accommodations and tourism bureaus provide lending services of their own. Those who wish to rent electric bicycles or bicycles for children should confirm beforehand. For those planning to ride around Naha City, there is a cycling share service called ChuraChari, and applications are available through the staff at the counter or the dedicated website (if applying through the website, member registration is required and payments can only be made via credit card). Be sure to protect yourself from sunburns and heatstroke while riding. Besides general taxis, there are also shuttle taxis that provide transportation from the airport to your hotel, sightseeing taxis that run between tourist sites, so you can choose the type that best suits your needs. Your hotel can also help make arrangements for whatever taxi you need. 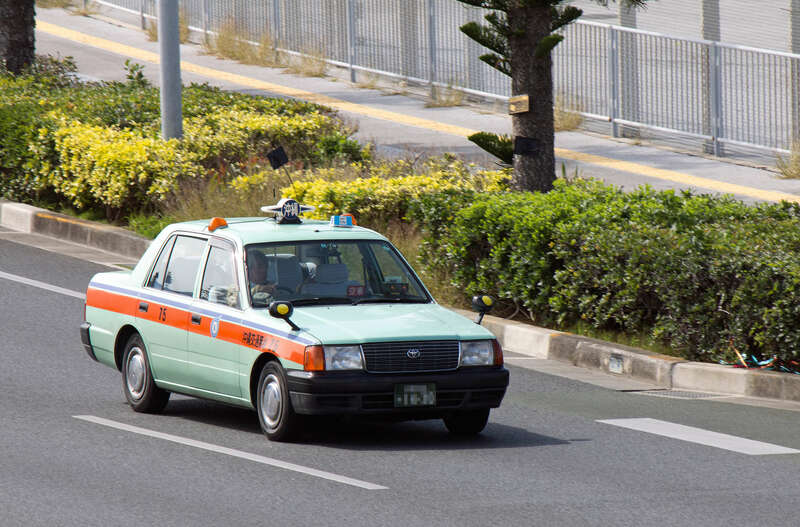 It is easy to hail a taxi at the airport, around Naha City, or at the main sightseeing locations, but on remote islands and other such locations, finding a taxi where you are might be difficult, so be sure to confirm beforehand. *From 10:00 p.m. to 5:00 a.m., a night surcharge (20%) is applied. *The rear doors of taxis open automatically. To avoid injury, wait until the door opens before getting in. Besides fixed-route buses, there are also limousine buses that provide transport from the airport to your hotel, as well as tour buses that provide efficient transport around the main tourist sites. With limousine buses and tour buses, it is best to reserve in advance for a smooth process. Example Course 2: Shuri Castle Historical Site (Southern part of main island), etc. You can pay by cash or an OKICA IC card (SUICA, PASMO, and other IC cards are not accepted for fixed-route bus). OKICA cards can be purchased at ticket machines and counters at monorail stations, bus company’s office and some FamilyMart in Okinawa (unregistered type only). 5,000 yen and 10,000 yen bills cannot be exchanged on buses, so prepare change beforehand. Note that 1-yen and 5-yen coins cannot be used. 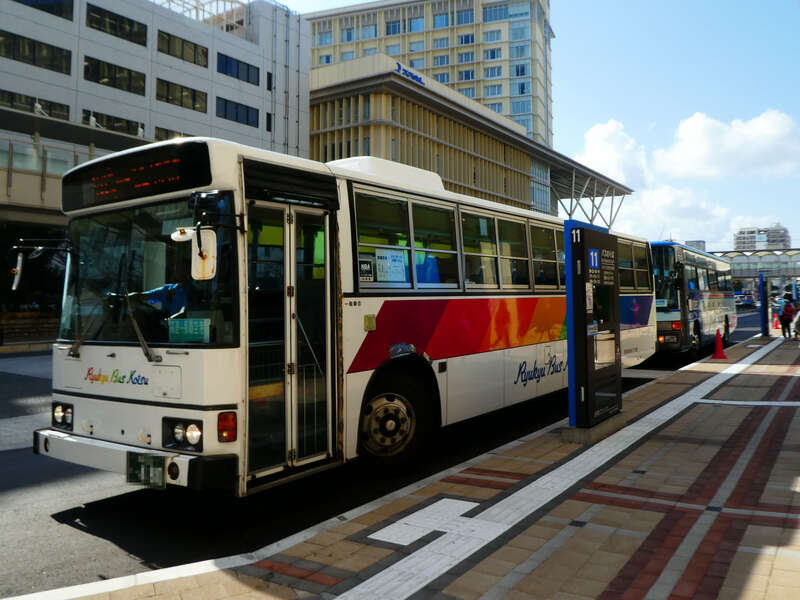 When sightseeing around Naha City, using the 1-Day Unlimited Pass for Naha buses (660 yen) or the Bus – Monorail Pass that provides unlimited rides on both the bus and monorail for one day (1,000 yen) can save you money. This ticket can be purchased at the Naha Airport Office (domestic terminal 1F), the Naha Bus Naha Sales Office (inside Naha Bus Terminal), and Naha City Tourist Information Center, among others. 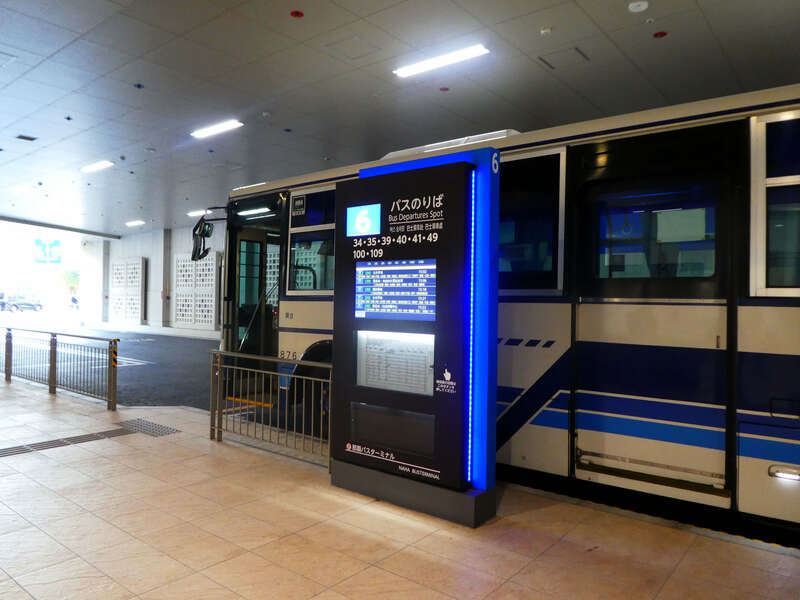 There is also “Okinawa Bus Pass (*1)” that allows unlimited use of buses and monorails on the main island of Okinawa, so you can purchase a ticket that best matches your vacation plans. The fixed-route buses on Okinawa’s main island connect almost all regions, but on remote islands, there are a limited number of routes and buses. If you wish to travel by bus, be sure to confirm beforehand. Get unlimited rides on buses and monorails for the applicable route within the designated time period! Enjoy leisurely gazing at the scenery as you head towards your destination, and have some drinks wherever you please. This bus pass is a convenient way to have an amazing trip. →You can purchase it here.